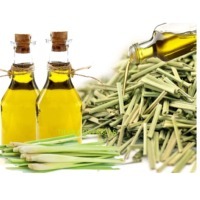 Browse lemongrass-oil suppliers by country and region. Having botanical name Cymbopogon flexuosus, Lemongrass Oil offered has its origination in India and comes in pale yellow to radish brown color with a very strong and stimulating characteristic lemon odor. With solubility in alcohol and oils and insolubility in water, it has refractive index of 1.4785 – 1.4890 at 20°C and need to be stored in cool, dry and well ventilated area. Further, the packaging needs to be airtight with due protection provided from sources of ignition, heat and sunlight. With the oil extracted using CO2 extraction process from Cymbopogon citratus of Poaceae family, it is derived from fresh/partly dried leaves and is much in demand for its medicinal properties. Also known by its common names of cymbopogon, Guatemala lemongrass, the oil blends well with coriander, geranium, basil, cedarwood, jasmine, lavender and tea tree and has main oil constituents of geranyl acetate, nerol, myrcene, citronellal, neral, geraniol. The oil is majorly used for rejuvenating the body and relieving it from stress. Further, it also helps in clearing headaches as well as in helping combat nervous exhaustion. The oil also helps in boosting nervous system and assists in quick recovery after illness. It is also an an effective cure for various respiratory infections. Binomial Name: Cymbopogon Citratus Lemongrass is a perennial plant with thin, long leaves and is indigenous to India and other areas of the Asian continent. - Lemongrass is a plant that is commonly used in Asian cuisine but which may provide therapeutic and medical benefits. - The botanical name for lemongrass oil is Cymbopogon Citratus. This oil is processed from the leaves of Cymbopogon shoenanthus through steam distillation. 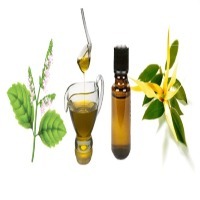 - It is a fresh smelling oil that can be used with success for fighting cellulite, revitalizing a tired body and mind. 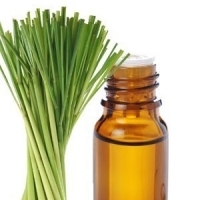 - Lemongrass oil has various medicinal, herbal and therapeutic properties. It has analgesic, anti-bacterial, carminative, deodorizing, febrifuge, fungicidal, antiseptic, antidepressant, astringent properties. Biological Source : Cymbopogan citrates Family : Graminae Cymbopogon, better known as lemongrass, is a genus of Asian, African, Australian, and tropical island plants in the grass family. Some species (particularly Cymbopogon citratus) are commonly cultivated as culinary and medicinal herbs because of their scent, resembling that of lemons (Citrus limon) Lemongrass is widely used as a culinary herb in Asian cuisines and also as a medicinal herb in India. It has a subtle citrus flavor and can be dried and powdered, or used fresh. It is commonly used in teas, soups, and curries. It is also suitable for use with poultry, fish, beef, and seafood. Although lemongrass has traditionally been used to treat digestive problems and high blood pressure, the essential oil has many other potential health benefits. For example, it’s becoming a popular tool in aromatherapy to help relieve stress, anxiety, and depression. 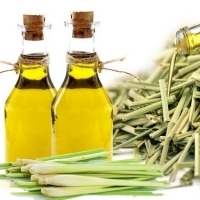 Health Benefits for Lemongrass Oil It has antibacterial properties. It has antifungal Properties. It has anti inflammatory properties. It has antioxidant properties. It may help prevent gastric ulcers or relieve nausea. It may help ease diarrhea. It may help reduce cholesterol. It may help regulate blood sugar and lipids. It may act as a pain reliever. It may help relieve stress and anxiety. It may help relieve headaches and migraines. Culinary uses of Lemongrass oil Lemongrass is used fresh or dried to flavor curries, stir-fries, pickles, soups, stews and salads. Lemongrass is intensively used in Tea Preparation. Lemongrass oil is also used as a aroma agent in various Chinese cusines. 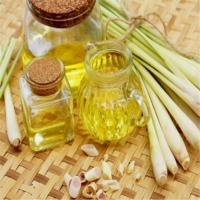 Other Uses of Lemongrass Oil Useful in aromatherapy and Perfume preparations. Useful in preparation of Cosmetics and Medicinal preparations. Useful in production of Soaps and candles. Useful as a mosquito repelling agent. Short on time? 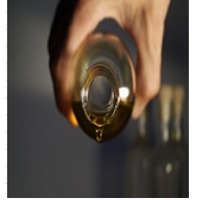 Let lemongrass-oil sellers contact you. Lemongrass Oil : Lemongrass essential oil is extracted through the process of steam distillation of dried lemongrass. Lemongrass is known by the scientific names Cymbopogon citratus or Andropogon citratus. As the name implies, lemongrass smells just like lemons, but it is milder, sweeter, and far less sour. This grass is used in countless beverages (including tea), desserts, and other forms of culinary creations as a flavoring agent when fresh lemon is not available or is not to be used because of its potent flavor. 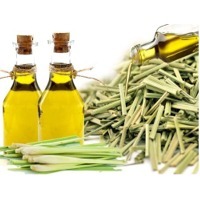 Uses: Lemongrass oil has been widely praised by people around the world due to its analgesic, antimicrobial, diuretic, astringent, and nervine effects. It can help to relieve pain, boost mood, protect the integrity of the immune system, speed up wound healing, stop excessive bleeding, prevent body odor, detoxify the body and stimulate the production of milk for breastfedding women. It can also impact hormone levels and lower fever. Lemongrass is widely used as a culinary herb in Asian cuisines and also as medicinal herb in India. It has a subtle citrus flavor and can be dried and powdered, or used fresh. It is commonly used in teas, soups, and curries. It is also suitable for use with poultry, fish, beef, and seafood. It is often used as a tea in African countries such as Togo, south eastern Ghana Volta Region and the Democratic Republic of the Congo and Latin American countries such as Mexico. Lemongrass oil is used as a pesticide and a preservative. Lemon Grass Oil, Palmarosa Oil, Citronella Oil, Mentha Arvensis Oil, Mentha Piperita Oil, Spearmint Oil, Basil Oil, Tagetes Oil, Vetiver Oil, Jamarosa Oil. Herbal extracts like curcumin, boswellia serrata, moringa leaves powder, tulsi powder, ashwagandha roots and powder, metal finishing chemicals like ammonium bi fluoride, zinc silicate, nickel salts etc. This essential oil is primarily extracted from lemongrass, which is an herbaceous plant that belongs to the family poaceae. Lemongrass oil has a fresh lemon like smell with earthy tinges. Lemongrass oil contains vitamin A, vitamin B1, vitamin B2, vitamin B3, vitamin B5, vitamin B6, folic acid and vitamin C, phosphorous, potassium, iron, copper, manganese, magnesium and a few other minerals. Some of the primary lemongrass essential oil benefits include relieving headaches, brings down stomach aches, eases abdominal and muscle pain, kills germs, acts as an astringent drug, brings down feverishness, hikes energy, alleviates gastrointestinal tract spasms and so on. Also, lemongrass oil is widely used as a safe and natural air freshener.